What Really Surprised Bill Hader About the Very Scary IT 2? Bill Hader was surprised by how emotional IT: Chapter 2 is. The actor recently spoke about the upcoming sequel after it was announced that production had wrapped following filming all summer and into the fall. Hader plays the adult version of Richie Tozier in the sequel, and we’ve seen some leaked set images of the actor with Bill Skarsgard’s Pennywise the Dancing Clown. Hader looks genuinely freaked out by the shapeshifting demon in the images, which makes sense for obvious reasons. 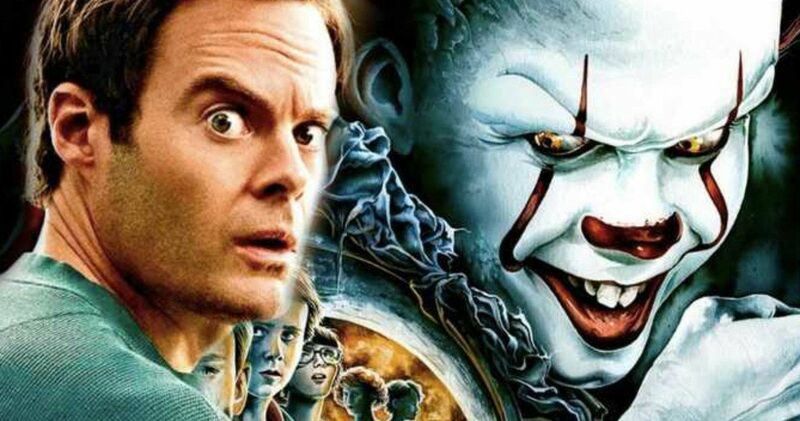 In a new interview, Bill Hader talked about working on Andres Muschietti’s IT 2. The sequel picks up 27 years after the first chapter, and all of the kids, who are now adults, return to Derry to take on Pennywise one last time. Hader was asked about the movie and couldn’t say much. However, he did give us a hint of what the sequel will be like. Hader had this to say. The first IT was pretty emotional as well, so it seems striking that Bill Hader would say that he was “surprised” by how emotional the second chapter is going to be. This leads one to believe that there’s a lot more going on this time around in terms of character development since we were already introduced to the characters in the first film. Andres Muschietti is currently in the post-production process for IT 2, which will hit theaters next September. Bill Hader is the perfect casting choice to take on the role of Richie Tozier, so fans of the first film are already looking forward to see how the actor continues with what Finn Wolfhard started in the first movie. Jessica Chastain was the fan-favorite casting to take on the role of Beverly Marsh in IT 2. Fans were very vocal on social media declaring that Chastain should play the adult version of Marsh, and apparently Andres Muschietti had the same idea, since she ended up landing the role. IT 2 has a lot to live up to after the breakout success of the first film. Andres Muschietti’s big screen adaptation of Stephen King’s IT is now the highest grossing R-rated horror film in box office history, casting a shadow over the whole genre. Nobody expected the first movie to do as well as it did, which now puts some added pressure on the sequel. With that being said, the foundation has already been put down, and the casting of the adult cast, along with the return of the young cast and Bill Skarsgard back as Pennywise, the sequel is already set up to be a box office hit as well. You can check out the interview with Bill Hader below, thanks to the Indie Wire Twitter account.